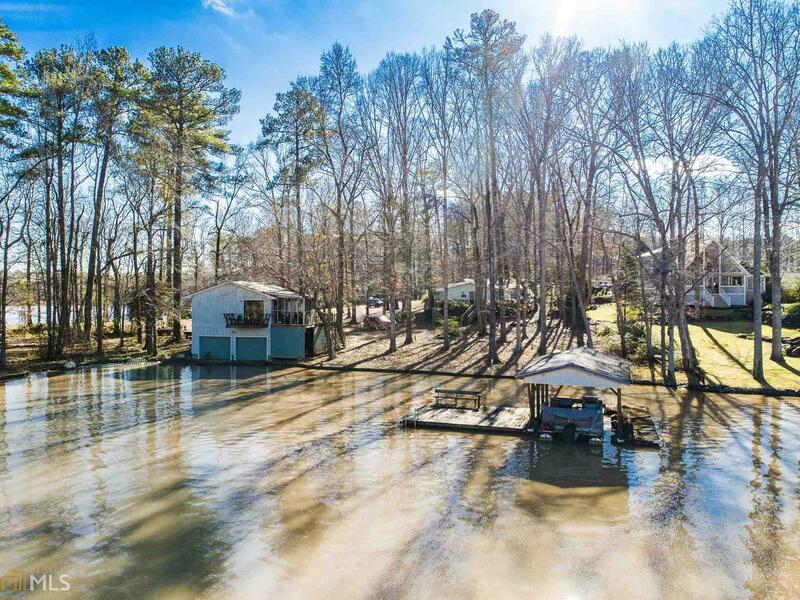 TWO properties on fee simple lot with 150 Feet of water frontage on a very "convenient to town" location on Lake Sinclair. First home is 3/2 and needs TLC. the 2nd is a boathouse with a 1 bedroom 1 bath home at the top. Nice trees, lot is level and views of the lake are beautiful. The house has a great floor plan and hardwood floors that could be refinished. Lake side deck and Single stall boathouse in place! No disclosures and no repairs made by seller. Call Chip and Joanna and Make this one your own! Directions: Hwy 212 To Bentley Dr To Montego Bay Rd. Left On Montego Ct. Home On Left.